Officially, the debut of a car will be held next week at the Shanghai Motor Show. 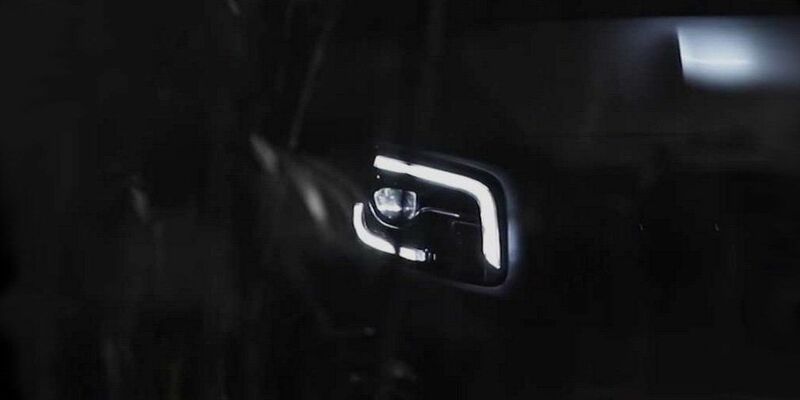 Additionally, the car roof has another LED light. In the serial GLB version of this element shouldn't be expected. Salon gets a digital 'tidy' and MBUX multimedia. The driver will also receive a semi-autonomous control system from the S-Class model. The vehicle will have an MFA front-wheel-drive base. It built the latest Mercedes A-Class and GLA. The rumors talk, that new crossover will be present 4-cylinder petrol with diesel engines. Next is the AMG version. The power of the engine - 160-300 'horses.' The hybrid modification is not excluded, which will consist of a gasoline unit with an electric engine. The novelty will be located in the model range of the German brand between GLA and GLC. The rivals of the Mercedes-Benz GLB are Audi Q3 and BMW X1.